Dublin is a city with a high concentration of shops, restaurants, bars and hotels within its city centre, and these are complimented by a series of small gardens, larger nearby parks and central public squares, such as Merrion Square. 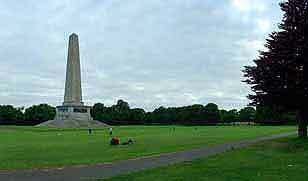 Phoenix Park is the main parkland in Dublin and it is absolutely enormous. Covering some 1,750 acres / 700 hectares, this vast expanse of green is more than twice the size of New York's Central Park and almost five times bigger than London's Hyde Park. 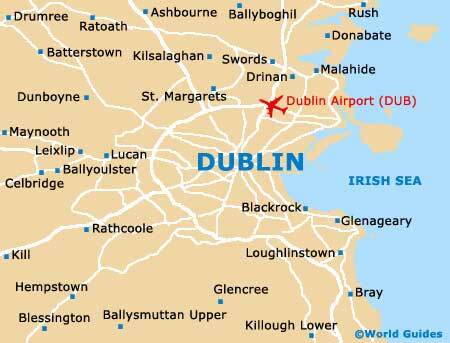 It is by no means your average city parkland and contains many stunning attractions, including the city's zoo and the Irish president's official residence. Considerably smaller, St. Stephen's Green enjoys a central position on the southern side of the River Liffey, where it is close to the Gaiety Theatre, the acclaimed Thornton's Restaurant at the Fitzwilliam Hotel, and of course, the Stephen's Green Shopping Centre. Phoenix Park is also home to Dublin's very large zoo, which is the birthplace of the world famous MGM lion, known for roaring at the beginning of many hundreds of films. This modern zoo currently has a very successful lion breeding programme in place, together with many other exhibits and large paddocks for giraffes, zebras, hippos and elephants, to name but a few. Situated within the north-western corner of Phoenix Park is a popular visitors' centre and next door to this is Ashtown Castle, a four-storey 17th-century tower-house. The Aras an Uachtarain (the Irish White House) is located between the castle and the zoo. This huge house is the official residence of the Irish president, while nearby are many sports pitches, lawns, gardens and lakes. 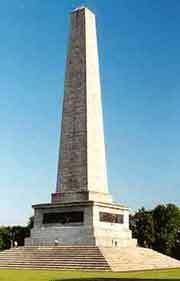 There is also a giant monument in the park which, at 63 metres / 205 feet tall, is the tallest obelisk in Europe. This monolith commemorates the victories of Arthur Wellesley, Duke of Wellington, who was born in Dublin. Sir Arthur Guinness paid for this 27-acre / 10-hectare park to be laid out and planted in 1880, and it mostly remains in the same structure today, more than 100 years on. 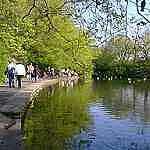 There are formal gardens, woodland areas, paths and a lake full of ducks - a popular attraction for children. There are also statues of James Joyce and W. B. Yeats, many benches set in peaceful, private areas, spectacular flower beds and nearby popular Grafton Street shops. Merrion Square provides a perfect place to stop for a rest after spending time in the nearby National Gallery. With many benches providing quiet places to relax amongst hedges and manicured lawns, the square is surrounded by fine Georgian townhouses on three sides. Famous Dubliners W. B. Yeats, Sir William and Speranza Wilde (Oscar Wilde's parents) and Daniel O'Connell all resided in these houses at one time.